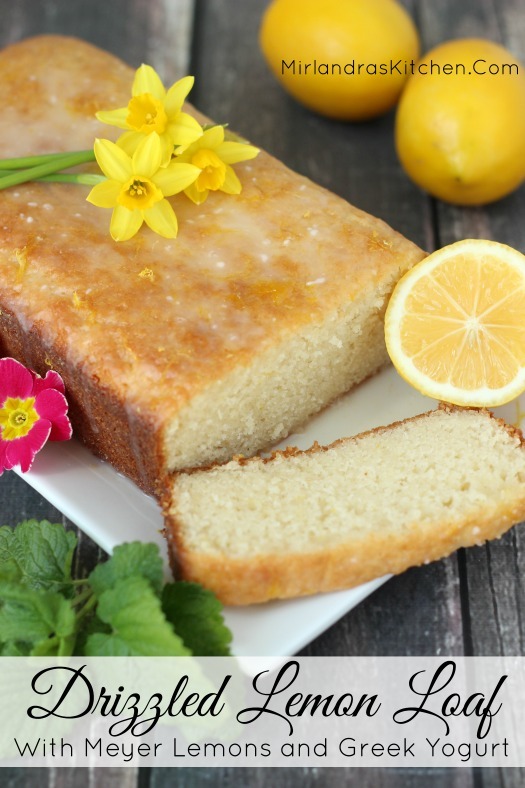 This drizzled lemon loaf is about as simple as baking gets! It has a sweet lemon flavor topped with a sweet-tart drizzle. Even the crumbs will disappear. This wonderful lemon cake is my birthday present to myself this year! I’m 32 today (I thought it was 33 but my fact checking turned up the news that it is only 32.) People seem to make a lot of fuss about getting older, loosing their youth, letting the glory years pass them by. Personally I enjoy the passing years. It seems as they pass that I find more and more who I am and what I’m about. Somewhere along the way I have found some additional wisdom and grown in common sense. I might even be learning to let things go a bit more! Many seasons of my life have not been easy and I’m proud of the victories I have won to get to age 32. I have a few more scars and a few gray hairs that I don’t remember being around a few years back but it seems worth it to me. Tonight I’m going to make more memories with my family and friends, eat too much guacamole and drink my husbands wonderful margaritas! Maybe I will even add a few gray hairs to the mix. This Lemon Loaf is a long time favorite of mine. May you all enjoy my birthday present with gusto! Tools In This Post: If you cook at all often a lemon zester is a must. It allows you to separate the zest from the lemon rind. I love this Microplane zester because it works so well and you can use it for cheese, ginger and spices like nutmeg. 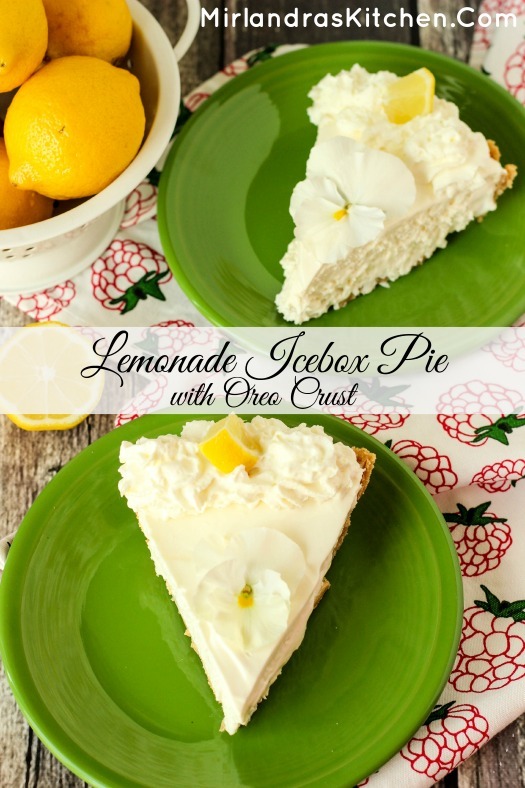 If you love lemon you will also love this easy Lemonade Icebox Pie with Golden Oreo crust. Sometimes called French Yogurt Cake or Sugar Loaf this sweet, lemony quick bread is one of the easiest things ever to bake! It is very difficult to mess up. Meyer Lemons are not always in season but I use them when I can get them. They have a wonderful sweet, floral flavor. If you can't get your hands on them any other lemons will do. Coat a standard loaf pan with nonstick vegetable oil spray. Dust with flour. Tap out excess. To flour mixture add yogurt, vegetable oil, eggs, and vanilla; stir to blend. Pour batter into prepared pan. Bake until top of cake is golden brown and a tester inserted into center comes out clean, 45 - 50 minutes. Let cake cool in pan on a wire rack for 15 minutes. Invert unto rack. Let cool completely. Whisk together ingredients for the glaze and drizzle over loaf. This looks amazing! 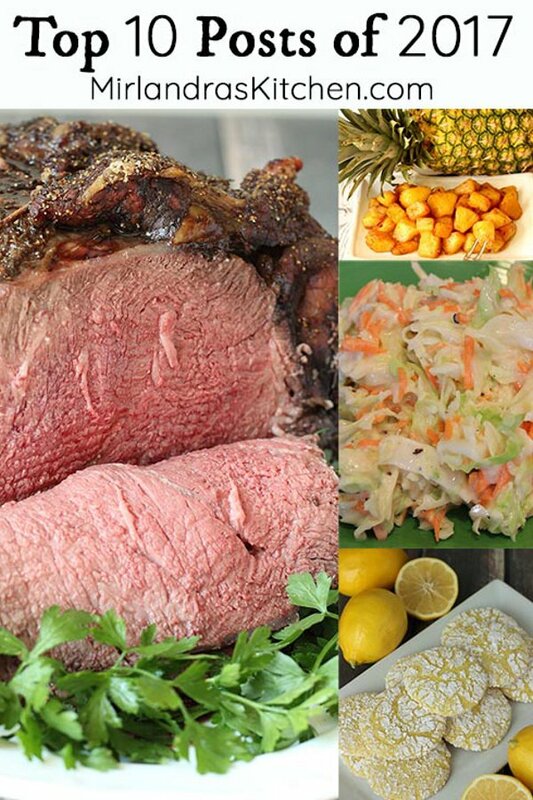 We are having a family party this weekend and this recipe is definitely making an appearance. I love lemon desserts in the summer, they are perfectly tangy and sweet. Thanks for sharing! I’m with you – nothing more excellent than lemon in the summer! I hope it turned out well for you. Hi There Mama M! I’m wild about quick breads and this one looks mighty tasty. So glad you shared with us at Weekend Potluck. Congrats on receiving most clicks at last week’s party for your TX Roadhouse Rolls. Oh my! Thank you! I was so touched to be featured. It was a very difficult week and this made me smile. Saw it and tried it immediately since I have all the ingredients. So easy to make and yet so delicious. Thank you so much for such a wonderful recipe. The best part is the cake is shared between a dozen of us….so a dozen kudos to you. Awe, thanks! I am so glad you enjoyed it! Lemon is just SO yummy. My daughter is getting married in 6 weeks. I’m looking for ideas to make and freeze. Can I bake these and freeze for 1 week? And how would be the best way to wrap, if it is possible. I want to make food to put in the rooms for the bridesmaids and groomsmen and need ideas. I will have a house full of people and I’m the matron of honor. Do you have any ideas of what I could make for my guests at my house for meals? Thanks for asking! I think this would freeze well for a week. I would freeze it before glazing and then put the glaze on afterwords. That will help too if you have some crumbs come off during freezing. I would wrap in plastic wrap and then bag in a ziplock. In general I don’t like to freeze baked goods but ones with a high moisture content usually do well for short periods. Now let’s talk weddings. 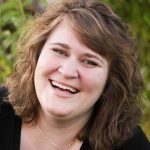 You are the mother of the bride, the matron of honor, and you have house guests. I’m just going to tell you honestly from my experience what I think and then you can make of it what you will. I’ve gotten married and I’ve done entire weddings for friends (like cake, flowers, coordination, etc) and even the simplest event can get to be a lot fast. I’m guessing the most important part of this all is that your daughter is getting married. This is one day – a moment in your life together you have probably both looked forward to and have some hopes and expectations around. I’m guessing you are close since you are also standing up for her. Whatever you decide to do as a hostess I would encourage you to not be so tired or so busy that you miss the experience of this moment. You won’t ever have it back again nor will your daughter. One of my biggest wedding regrets is my mother folding handmade fans right up until the ceremony – of course in the shuffle they never even got handed out… I got few moments with my mom on that busy day and I wish things had been simpler so I could have had more. In your shoes I would cater / Costco cater any part of this I could. Buying things like simple roll up sandwiches, take and bake pizza from Papa Murphies, frozen dinners from Costco can give you a lot of freedom of time without breaking your budget. I know it is a joy to make homemade food for times like these but it can also be the straw that makes you crazy. I would opt for high quality simple food I could lay out and serve over making everything. In terms of having food for the people getting dressed simple is good. The few times I’ve dressed for weddings I didn’t like anything messy but was grateful for practical food. Things like meat and cheese with breads or crackers or nuts. Plenty of cold water! The day gets busy and high protein snacks are a win. If you are really looking for meals to make and freeze consider Taco Balls or my special homemade spaghetti sauce. Taco balls can be frozen before the sauce topping goes on. Spaghetti sauce can be made in a large batch ahead, frozen and then served with high quality pasta and bagged salad. My sauce recipe is something special you would get a lot of compliments on. The taco balls are popular but less classy! Good luck with all the things on your plate and best wishes for a special day for you and your daughter! I hope this is the beginning of an amazing partnership she will find great joy in for the rest of her life!